I’m sure that if you’ve been around this website, you would’ve probably heard me wax poetically (or at least positively) about Rune Factory, specifically the latest installment Rune Factory 4. It’s an excellent series that feels like a natural progression of the Harvest Moon formula. All in all, it’s an amazing spin-off. 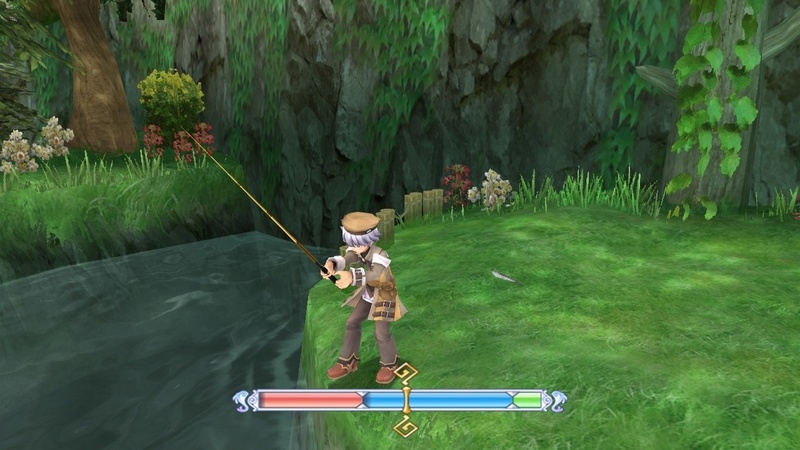 But while Rune Factory has gone on to its own critically acclaimed series, there were two other Harvest Moon spin-offs that came onto the scene in 2007, the same year as the original Rune Factory (at least in North America; the original Rune Factory released in the PAL region in 2009). 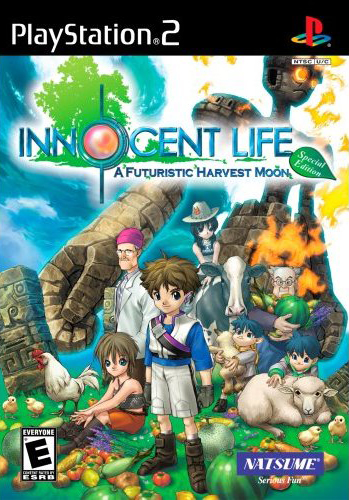 These are Innocent Life: A Futuristic Harvest Moon and Puzzle de Harvest Moon. Innocent Life kept the changes simple. Instead of being a person who moved into town, you’re a robot who is built to farm to help save the town. 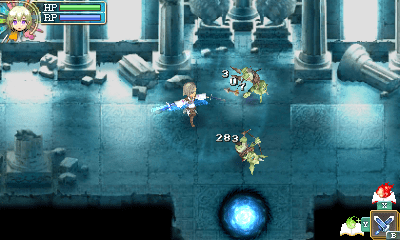 Along the way, your levels for various skills raise, similar to that of Rune Factory but not quite as in-depth. Overall, the formula is quite similar to Harvest Moon. You farm the land, you befriend people (though you can’t actually marry anyone), and try to help out the town. The only thing that really bugs me is the time in the game. Now, if you’ve read my articles, you know I have an issue with 24-hour day/night cycles as well as not being able to stop time when I enter a building. This day/night cycle is sped up. Instead of going similar routes as Rune Factory and Harvest Moon in a “24 minutes equals 24 hours” cycle, developer ArtePiazza decided to speed up time. Needless to say, I didn’t like it. But overall, I liked the game. On the other side, you have Puzzle de Harvest Moon, which changed things up quite a bit. First and foremost, as the title suggests, it is a puzzle game. 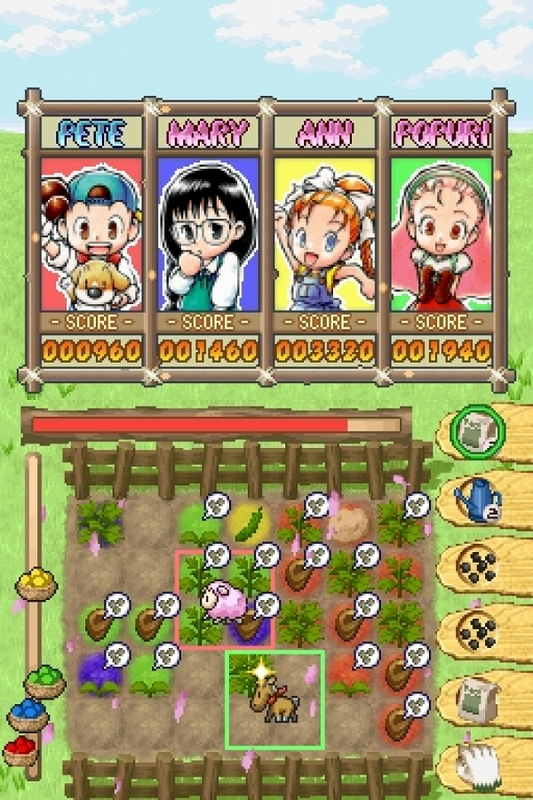 In the game, you take control of a character from Harvest Moon history and compete against other characters for the highest score. It sounds more interesting than it is. Along with the change to the basic gameplay comes another big change: no story or world to interact with. So, basically, you take Harvest Moon, strip out almost everything that makes it Harvest Moon, add in a basic multiplayer, and… it’s no wonder nobody bought it. Reviews of the game are quite scathing, basically going as far as not even calling it a Harvest Moon game. While my time with the game was brief, I completely agree. But even with the negatives against the game, I actually find that Puzzle de Harvest Moon has more untapped potential to become a great series. Here’s the thing: Innocent Life played it way too safe. It copied and pasted way too much from the main series without adding much to the formula – pretty much becoming a Harvest Moon game in a “just past current time” future skin. In essence, it’s a pretty good Harvest Moon game but a terrible spin-off. For comparison, if you look at Rune Factory, it took the original formula but took chances by adding an action-RPG element. In addition, they took the game from a somewhat modern setting and made it more fantasy-like. 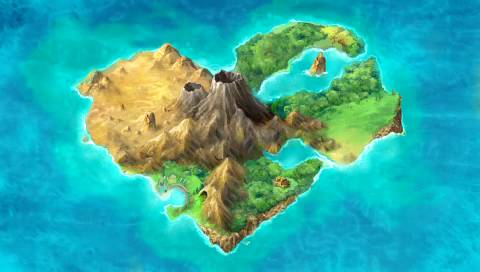 And to top it off, the game was well executed – perhaps a testament to its original developer, Neverland. I said it before and I’ll say it again: Rune Factory is a natural progression of the Harvest Moon formula. As for Puzzle de Harvest Moon, it was so radically different from your typical game in the series. If it wasn’t for familiar characters mixed with a farming-related puzzle contest, you wouldn’t even know it was supposed to be part of that franchise. But even with that said, I would enjoy a properly developed Harvest Moon puzzle game; one where the puzzle drives the game but isn’t the entirety of the game. 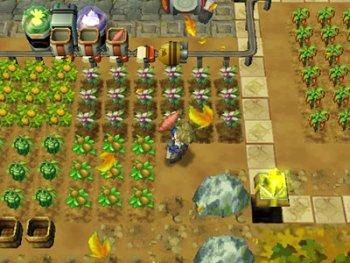 For instance, a puzzle for farming could determine how much you grow on a certain day and what quality they would be. I also imagine one could be done for mining and fishing, which would determine your haul from either one. There could also be competing farmers in the same town, with each farmer having their own stand at a market they can sell their items at on the weekend. And it wouldn’t be the same puzzle for every aspect, either. For instance, I picture individual conversations with people working as either a Rubik’s cube, Bedlam cube, or a sliding puzzle. Or for group events, maybe a jigsaw puzzle that features you and the others you’re with. Sounds complicated? Perhaps. But I guarantee I just put more thought into a potential game in these last few paragraphs than either Natsume or Platinum Egg put into their game over the entire course of its development. So we’ve got one game down. What about Innocent Life? Honestly, I don’t know what to do. One of the first things I thought of was make the setting more cyber punk, but that wouldn’t solve the problem putting a Harvest Moon game in a futuristic skin. There needs to be something else that separates it from the main series. Maybe I’m just not thinking it through enough. Perhaps one of you has an idea that could work. With all of that said, I think it’s pretty obvious that Rune Factory was a well-executed spin-off from Harvest Moon. But it wasn’t the only good idea for the franchise. Futuristic and puzzle-based games could work well with the right hand guiding them. They just need to find that right balance of taking chances and playing it safe. After all, Rune Factory proved you can do more with this series than just farming.